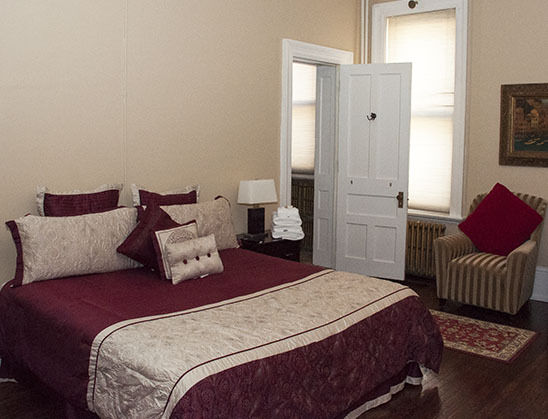 Thank you for considering the State Street Bed and Breakfast, New York's Capital Bed and Breakfast. Located one-half block from the State Capital and the Empire State Plaza, our guests are Just Steps Away from everything Albany has to offer. Whether it's a single night, long weekend, or an extended stay, Inn Keeper Adam Ladopoulos is committed to making your time at the B&B pleasant and comfortable. The State Street Mansion Bed and Breakfast strongly encourages its guests to make reservations early to ensure your stay can be accommodated. Gift certificates are available and welcome.